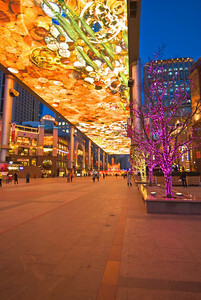 A huge suspended LED screen forms the centerpiece of The Place, a new retail development in Beijing's central business district. 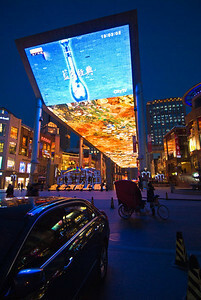 The Skyscreen is 250 m long and 30 m wide, and was built with an investment of RMB 250 million ($32 million). 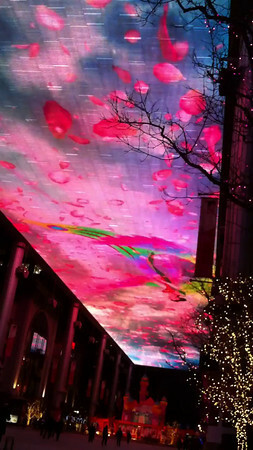 The screen is suspended six stories high (80 feet) above a plaza between two new retail centers. 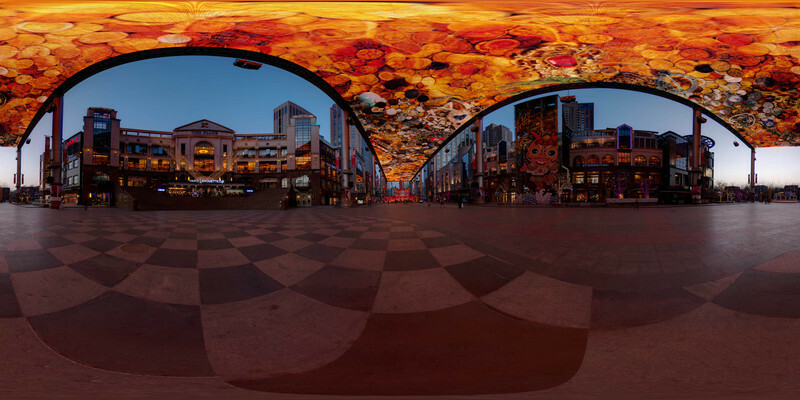 who was the original designer of the Fremont Street Experience in Las Vegas, the world's largest LED screen. 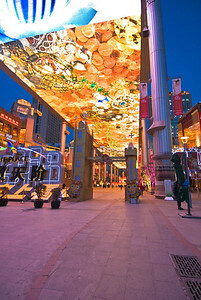 The displays were supplied by Taiwan-based LED display manufacturer Opto Tech http://www.opto.com.tw). The screens have an open grid structure to allow natural lighting during the day. 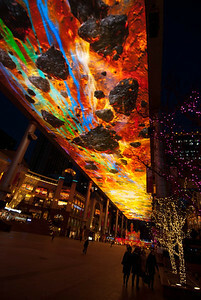 Five individual displays have been combined to form the giant screen, but the displays can also operate individually and show images in film or TV format. 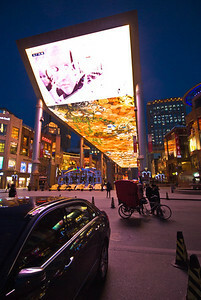 The screens have connections to play giant video games, and can broadcast live events, as well as showing televised events. 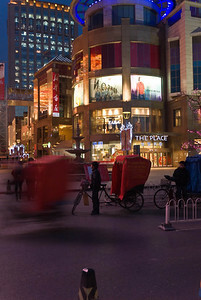 They can advertise products, and there is even a section where visitors can upload photos of themselves or their friends. Railton has created a series of unique and dramatic shows for the skyscreen. "Creating media for the very large scale of the sky screen presents a very different challenge compared with conventional movies or television," he says. "The Sky Screen is like 'an arena in the air' so that images have to make an entrance and exit as in large scale live events."